Less than three weeks after delivering its quadrennial election episode, Epic Rap Battles of History has returned with another fresh installment. 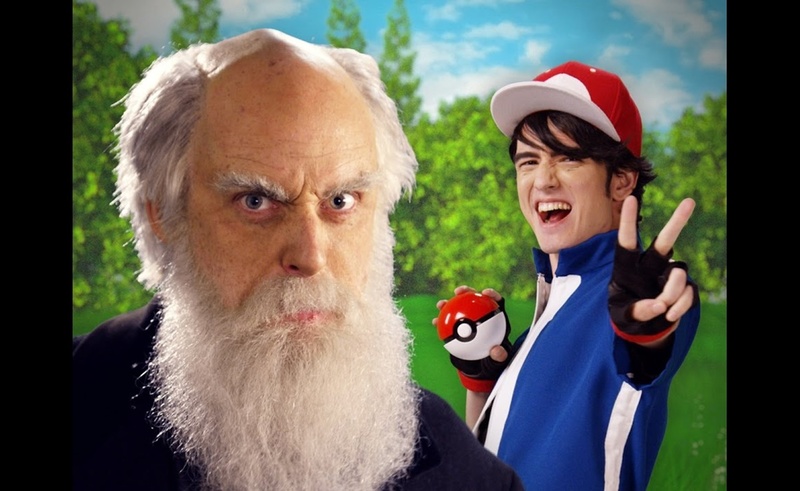 This time, the popular web series, which has taken several hiatuses since its 2010 launch, has rolled out an evolution-themed battle, with naturalist Charles Darwin taking on Pokemon protagonist Ash Ketchum. While the new battle is only ERB’s second battle since it went on hiatus back in July, it shows that series creators Nice Peter and EpicLloyd have not lost their touch. All of the signature ERB elements are in play here, from witty lyrics to the multitudinous historical references to the detailed costumes. While ERB is now officially back in season after taking a few months off over the summer, its forthcoming schedule may not match the regimented, bi-weekly one of its past. As Nice Peter noted on Twitter, the plan going forward is to release battles as soon as they of acceptable quality; if that takes more than two weeks, ERB fans may have to wait a bit longer than usual to get their fix. This schedule, while new, is consistent with ERB’s philosophy. A 2013 New York Times profile of the channel’s creators noted that they like to keep their episodes somewhat scarce in order to remain as fresh as possible. As they enter their sixth year of activity, that strategy is as important as ever.